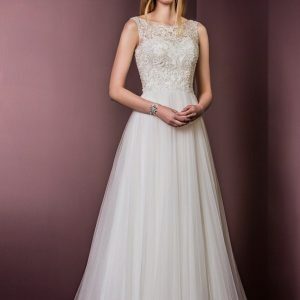 Contemporary and elegant, this design reimagines the ballgown. In a cascade of pleated satin, the skirt is simply unforgettable. 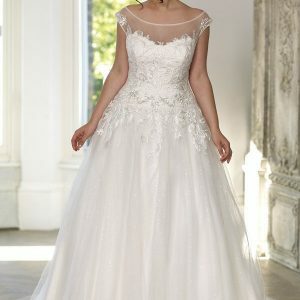 The sweetheart bodice is covered by wide neckline illusion lace sleeves and back. 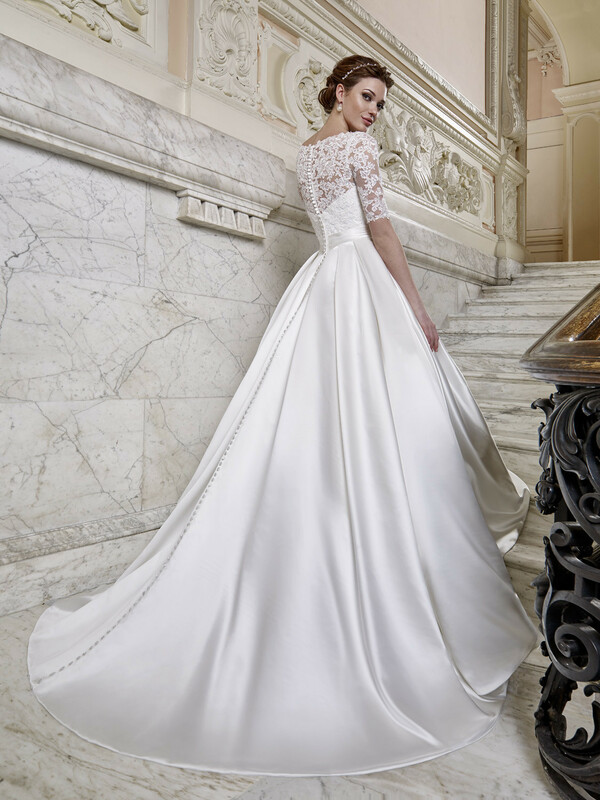 The wide satin belt shapes the figure, while subtle pockets ensure stylish convenience for the modern bride.